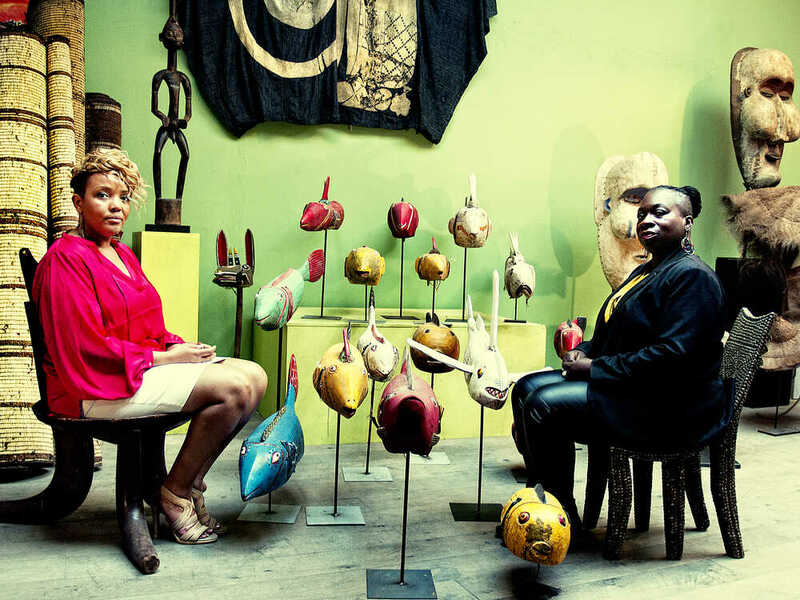 ArnoQuins is the name of the bold project (album and presentation) of the eight headed Brussels-Congolese ensemble KARAVAN. With this special project, the company took on the challenge to interpret famous and less famous songs of their albino cousin Arno Hintjens a capella. 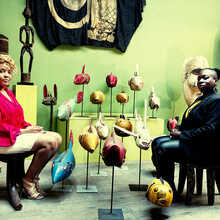 KARAVAN originated from ‘Les Anges Cie’ that , at the end of the 90s released the intriguing The Black Slavics, an imaginary encounter between the Slavic/ Russian culture and Black African gospel. 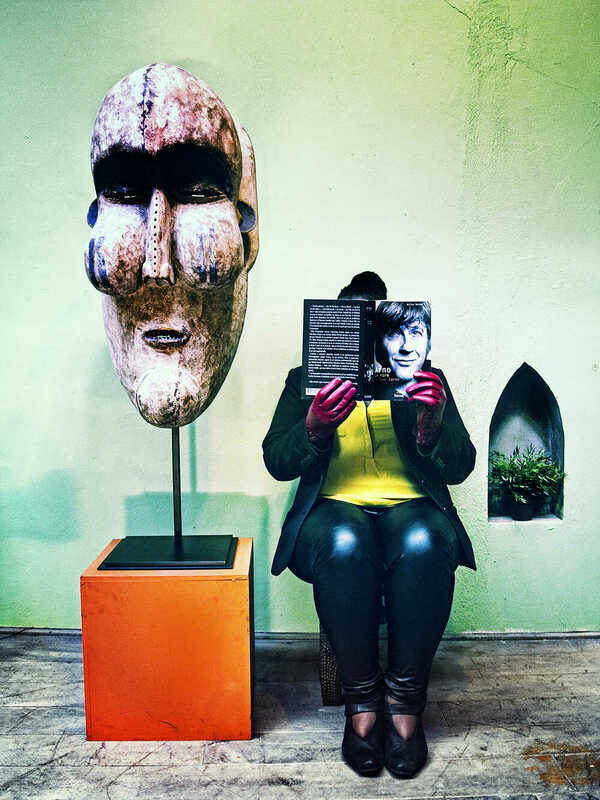 In the summer of 2014 KARAVAN shared the stage with amongst others Hannelore Bedert during Boterhammen in het Park and hardly a month later during the supporting programme of Sinnead O’Connor in de AB. 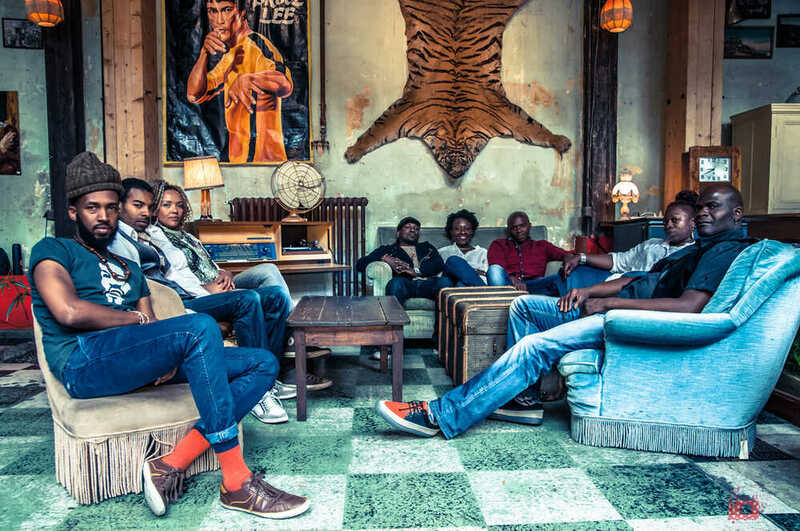 In the meanwhile they regularly shared the stage with Arno himself, including during the Arno 65 concerts in Kursaal Ostend and the Botanique in Brussels…)and on couleur café. As a climax ‘ArnoQuins’ is premiered live in the AB early 2015…..ready to tackle the rest of Belgium. 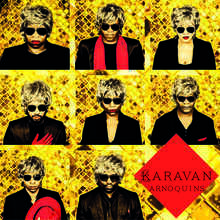 And so today KARAVAN is ready as well to present ‘ArnoQuins’ to the rest of Belgium and to the audience of Ghent. 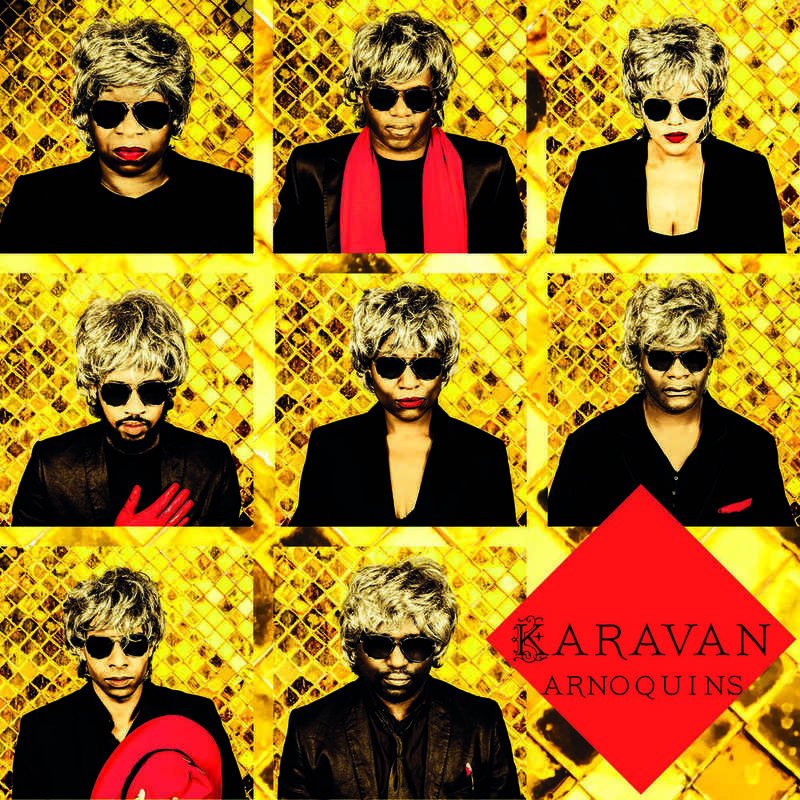 KARAVAN mixes the bright and dark hues of Arno with trip hop, , jazz, hip-hop, lyrical vocals and a slight ironical touch, in which the group members constantly switch between French and English, between Africa and Europe, between black and blanc. 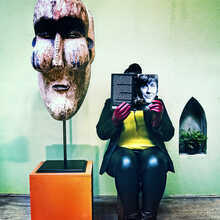 ArnoQuins is multi- coloured, and multi-etnic, but above all typically Belgian, surrealistic and slightly sensitive, just like ‘Le plus beau’ himself. 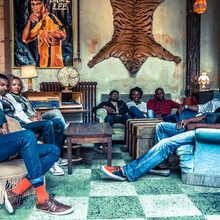 KARAVAN = Nicole Bongo Letuppe, Marie-Ange Tchaï Teuwen, Fredy Massamba, Myriam Gilson, Djubebe Kalume, Epolo Mabita, Mister Mo & Soul T.